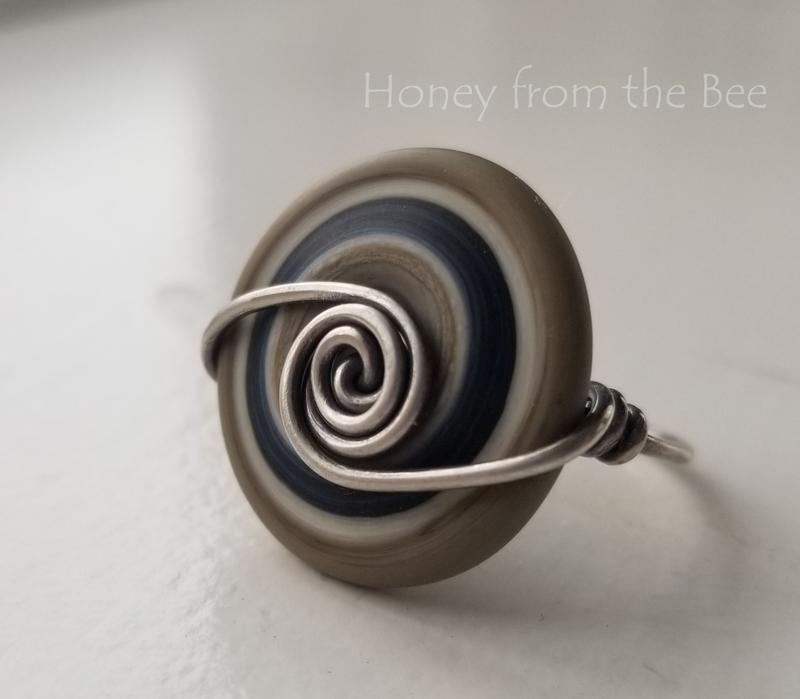 This summer I've decided I'm going to add some rings and more bracelets to my shop. 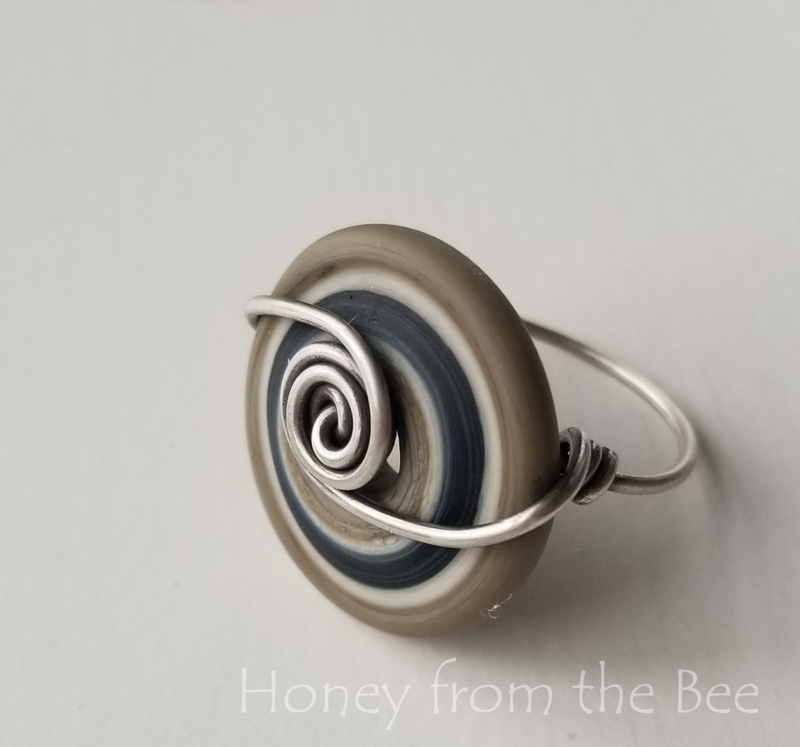 These first rings are sterling silver wire work with lampwork. I have some other lampwork beads I'm going to do up the same way. I like how it shows off the artistry of the bead more than it would in a necklace. The lampwork is by Out West. This one reminds me of the sea. It's taupe and navy blue with a ring of cream.